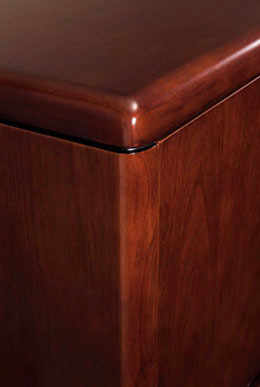 L Shape 66"x78" Veneer w/Solid Hardwood Radius Edge - in Dark Cherry Wood Finish. 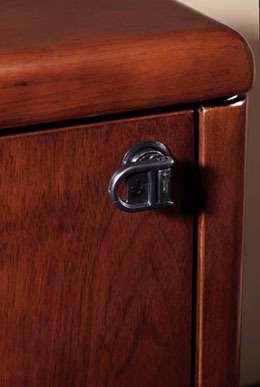 Pedestals are front locking for use left or right use. 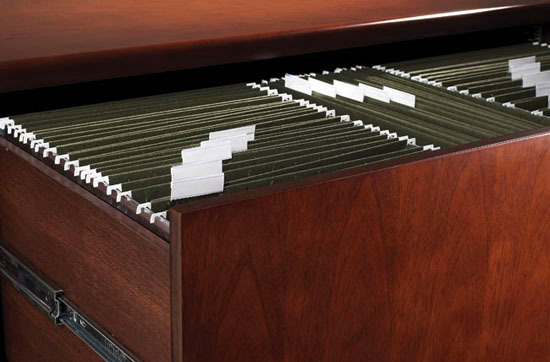 File drawers are full-extension with pre-installed hardware for legal/letter filing. 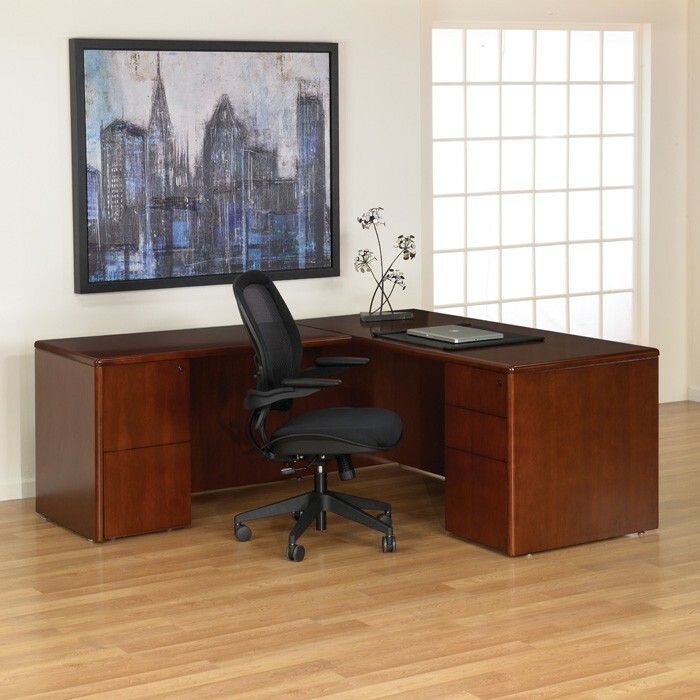 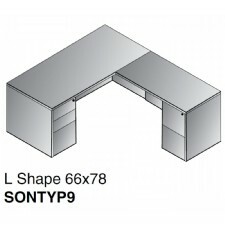 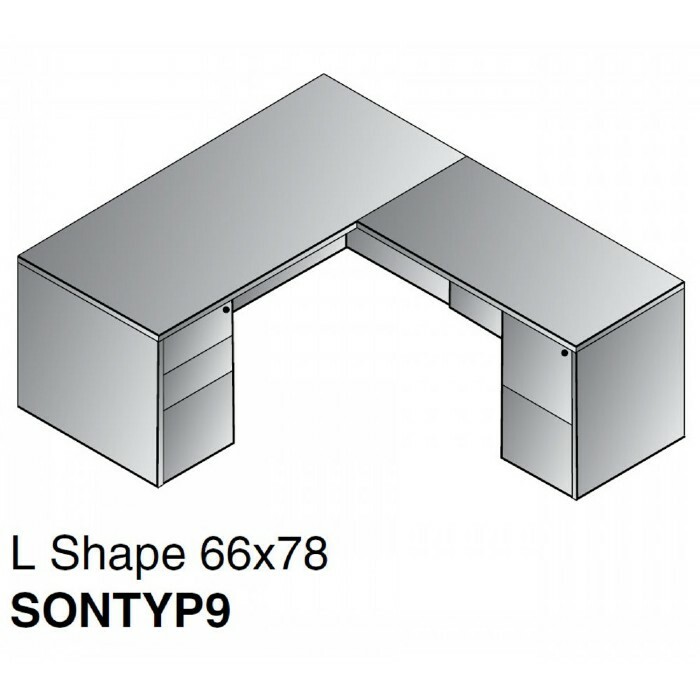 Includes: 66" x 30" Desk Shell, Box/Box/File Drawer Desk Pedestal, File/File Drawer Desk Pedestal.